Hundreds of Google engineers and other company workers worldwide — including in Canada —​ walked off the job Thursday to protest the company's handling of executives accused of sexual misconduct, as well as workplace harassment and inequality. Walkouts were planned for 11:10 a.m. across different time zones, beginning in Asian countries. Protesters and supporters were posting photos and messages under the hashtag "googlewalkout." 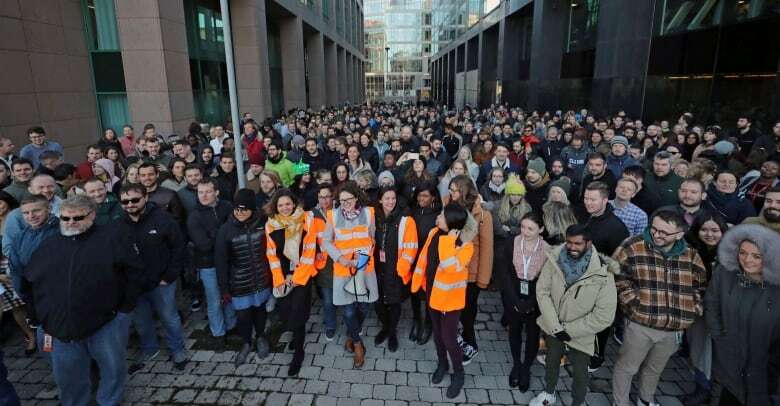 Employees were seen staging walkouts at offices in Tokyo, Singapore, Zurich, Berlin, Haifa, Israel, and London. 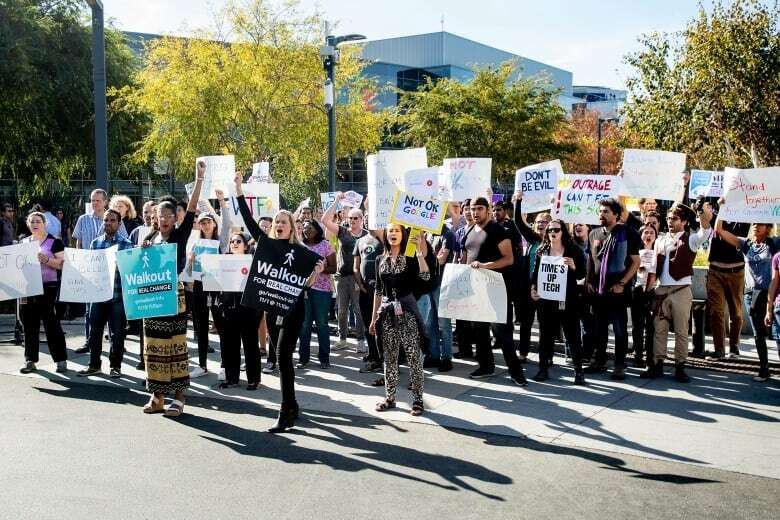 As the protest moved west, workers walked out in Cambridge, Mass., New York City, Montreal and Toronto, and finally at the company's corporate headquarters in Mountain View, Calif. 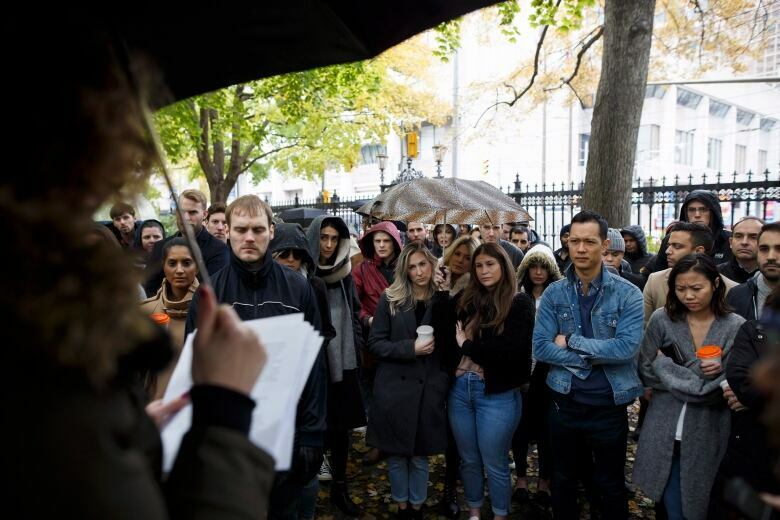 In Toronto, at least 100 employees left their Google offices and walked to a nearby park. They spent about 15 minutes reading pages of stories from anonymous Google employees alleging sexism. Some who were part of the walkout said they would not be returning to work that day, while others were seen headed back into Google's offices shortly after. 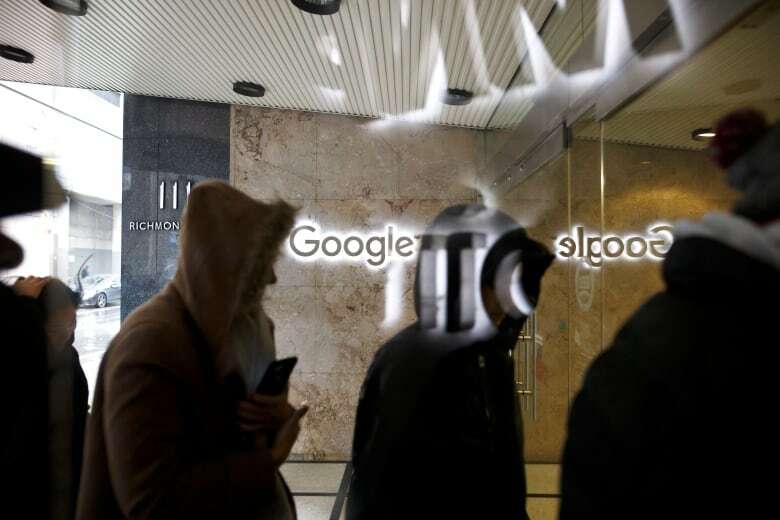 In Montreal, about two dozen Google employees walked out of the company's office. In Kitchener-Waterloo, employees staged a "walk-in," gathering in the building's lobby. It is all the latest expression of a backlash against men's exploitation of female subordinates in business, entertainment and politics. 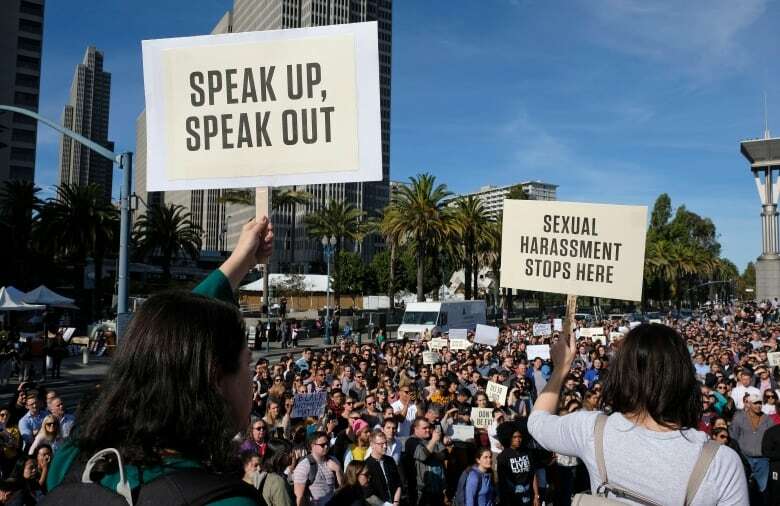 In Silicon Valley, women are also becoming fed up with the male-dominated composition of the technology industry's workforce — a glaring imbalance that critics say fosters unsavoury behaviour akin to a college fraternity house. The Google protest, billed as "Walkout for Real Change," is unfolding a week after a New York Times story detailed allegations of sexual misconduct against the creator of its Android software, Andy Rubin. The report said Rubin received a $90-million severance package in 2014 even though Google concluded the sexual misconduct allegations against him were credible. Rubin derided the Times story as inaccurate and denied the allegations in a tweet. The same story also disclosed allegations of sexual misconduct involving other executives, including Richard DeVaul, a director at the Google-affiliated lab that created projects such as self-driving cars and internet-beaming balloons. DeVaul had remained at the "X" lab after the allegations surfaced a few years ago, but he resigned Tuesday without severance, Google confirmed Wednesday. "Users can boycott Facebook and Google, and government can impose legislation, but the people where the money is coming from don't say anything," Dot Health Twitter Founder Huda Idrees told CBC's tech panel. "People who had access to Google's board knew absolutely that Andy Rubin was being given a multi-million dollar package. Why didn't one of them say anything?" Google CEO Sundar Pichai apologized for the company's "past actions" in an email sent to employees Tuesday. "I understand the anger and disappointment that many of you feel," Pichai wrote. "I feel it as well, and I am fully committed to making progress on an issue that has persisted for far too long in our society and, yes, here at Google, too." The email didn't mention the reported incidents involving Rubin, DeVaul or anyone else, but Pichai didn't dispute anything in the Times story. Among other things, Pichai and Naughton disclosed that Google had fired 48 employees, including 13 senior managers, for "sexual harassment" in recent years without giving any of them severance packages. 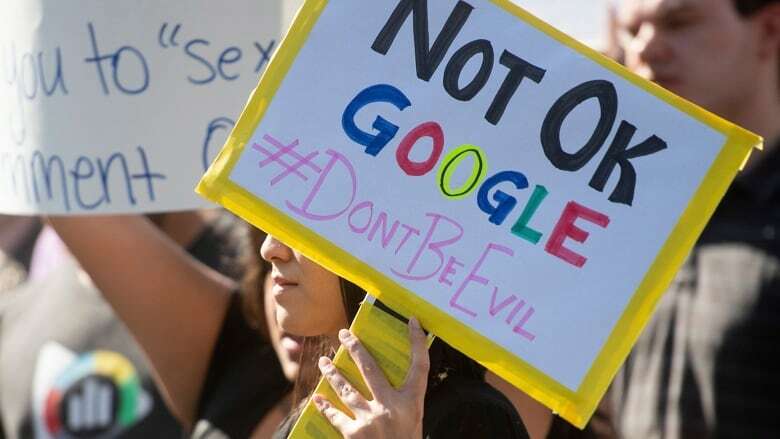 But Thursday's walkout could signal that a significant number of the 94,000 employees working for Google and its corporate parent Alphabet Inc. remain unconvinced the company is doing enough to adhere to Alphabet's own edict urging all employees to "do the right thing." A Silicon Valley congresswoman tweeted her support of the Google walkout using the "MeToo" hashtag that has become a battle cry for women fighting sexual misconduct. "Why do they think it's OK to reward perpetrators & further violate victims?" asked Democratic Rep. Jackie Speier, who represents an affluent district where many of Google's employees live.